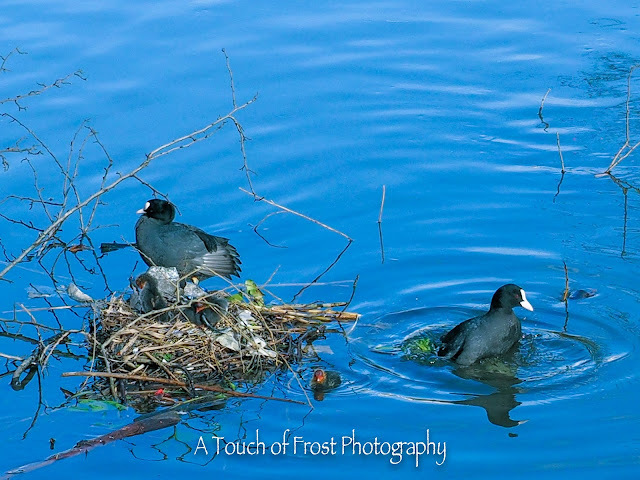 I pass along the canal each day to work, and for the last couple of weeks I have been watching a moorhen sitting on a nest, that has been made by her hubby. 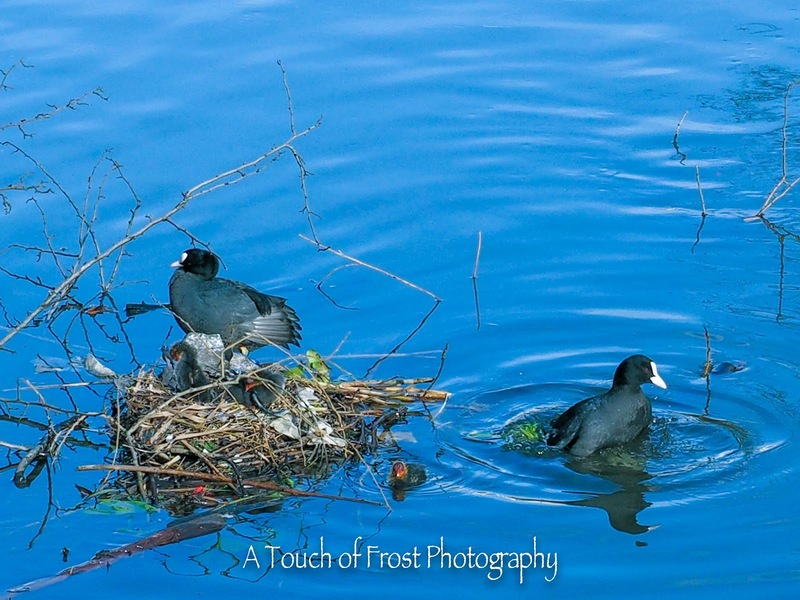 Then yesterday I noticed that they had become parents, which three little chicks hopping around the nest, or dipping their feet in the water. So nice to see. And I hope to take some more shots when they are swimming along as a family.